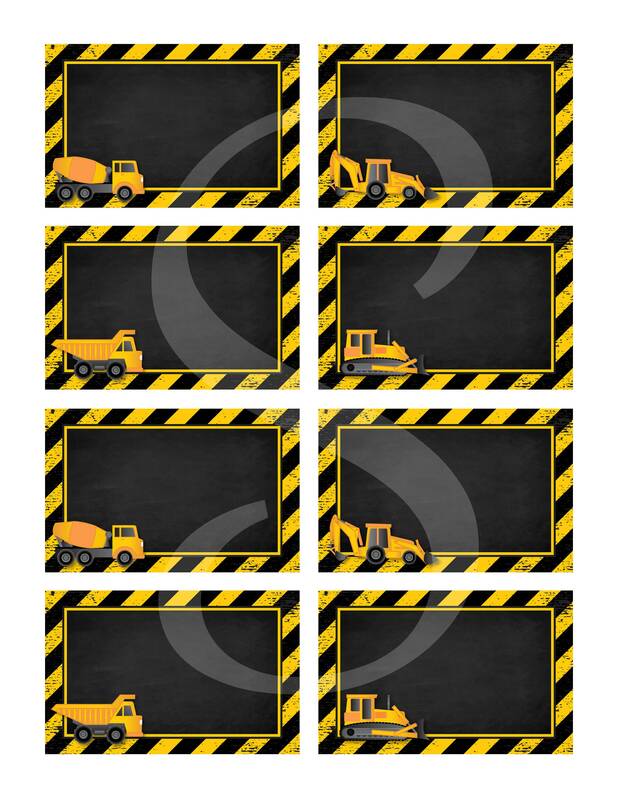 Construction Party Labels - Construction Food Labels - Construction Chalkboard Labels - Construction Party Supplies - Edit NOW! 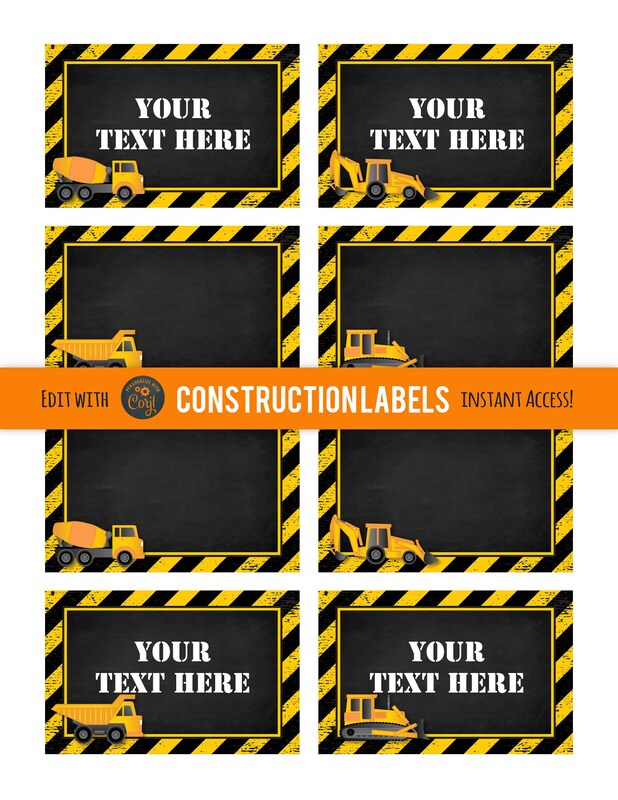 Construction Party Labels Template! DIY Instant Access - no waiting! Start right now and just type over the sample text. Edit using Corjl. ►You can EDIT these labels for your special event to use as food signs, place cards, favor tags, or anything else you'd like! 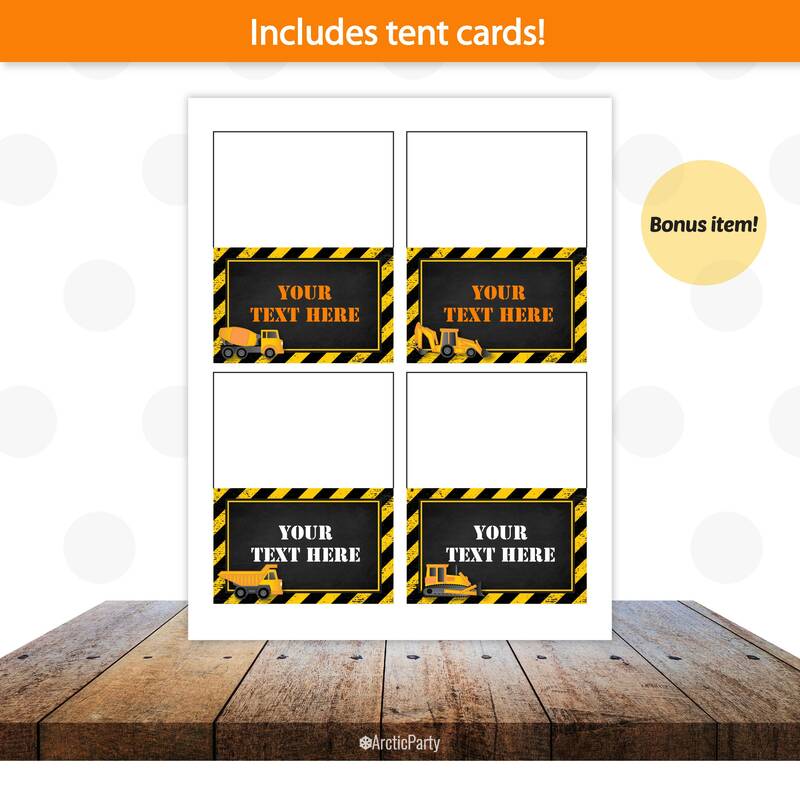 Tent cards are also included! 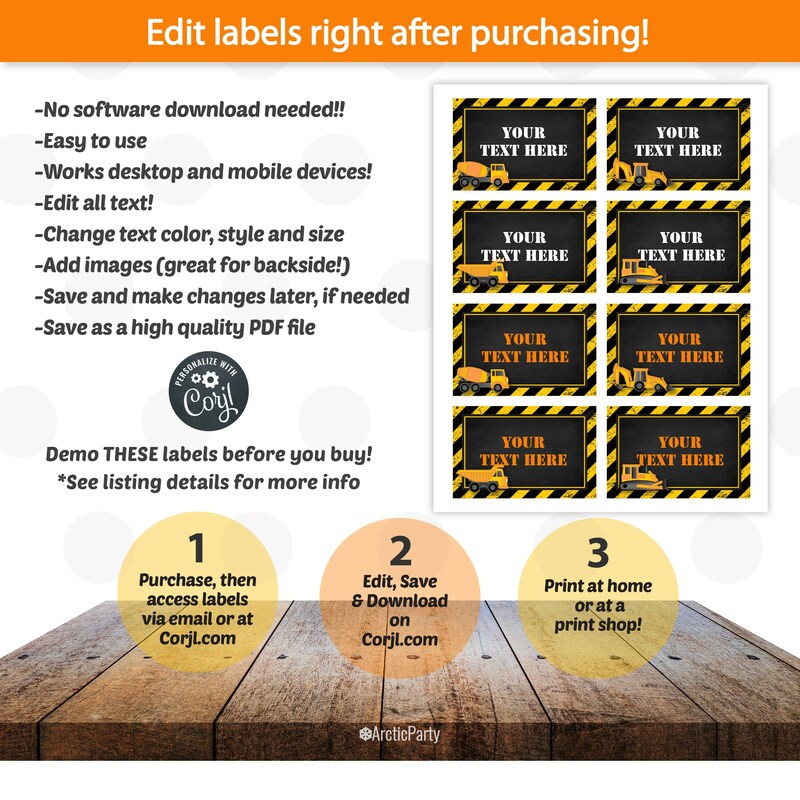 Edit your labels at Corjl.com right after purchasing.